Meet Abbey, the new puppy my sister and brother in-law adopted. 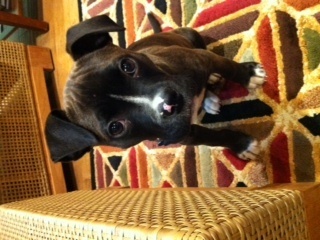 She is a boxer-pitbull-lab mix and is 13 weeks old. I have booked a trip to go and meet my adorable new niece at the very beginning of February. I can’t wait to meet her!